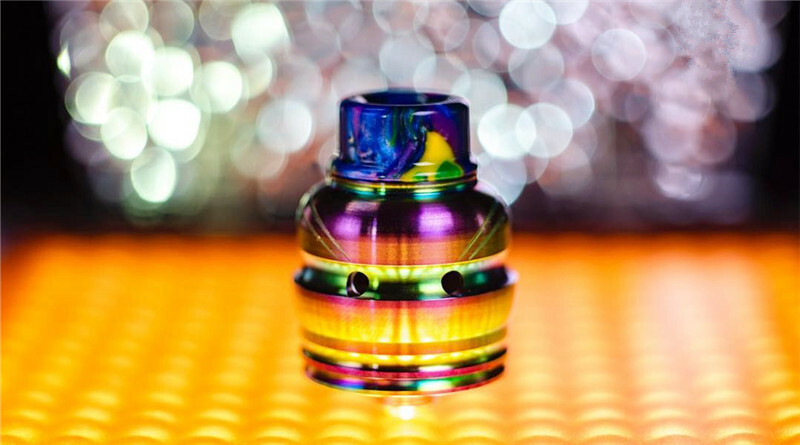 I received this ElderDragon RDA free of charge directly from HealthCabin for the purpose of this review. Regardless of this, it will not color my opinion on this review in any way, shape or form. This came in a Green/Black rectangular box with a transparent plastic window on it where you can see the deck and the top cap in their respective cutouts. 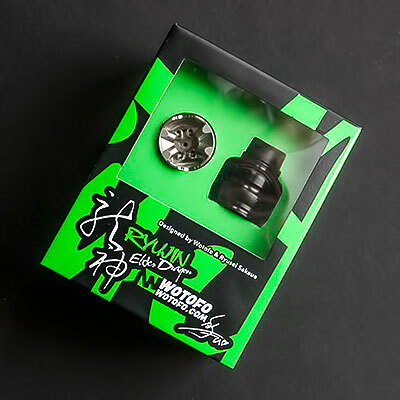 On the front it says RYUJIN/ElderDragon together with Wotofo and the web address. 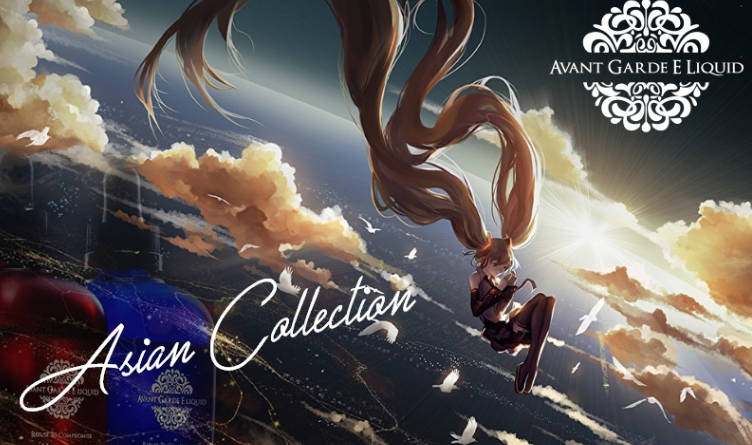 It also says that it is designed by Wotofo and Ryusei Sakaue. On the sides you can find what the package contains, on another you find the obligatory scratch and sniff and on the last side a warning text. 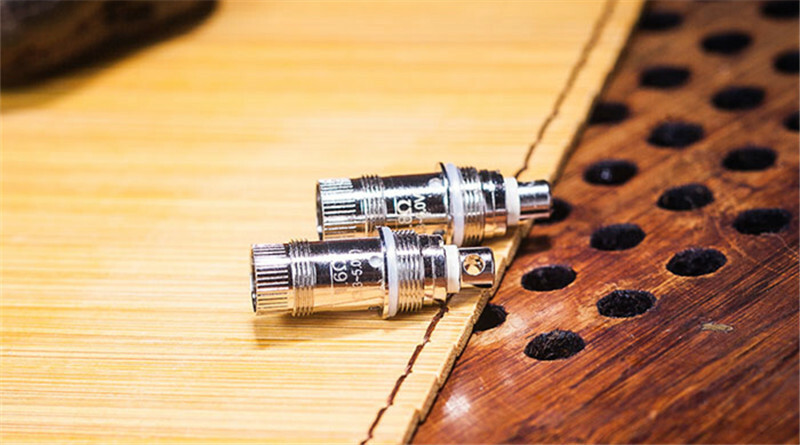 Below the cutouts for the deck and top cap, you find a 510 drip tip adaptor and the extra 810 drip tip. Lift that foam and you find the bags with all the extras. 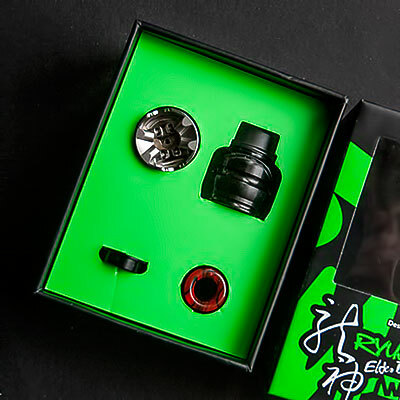 It is a 2-piece 22 mm single coil RDA made in collaboration between Ryusei Sakaue and Wotofo and I must say it is a totally different looking RDA for sure. 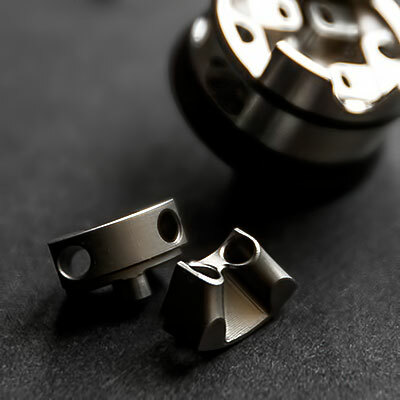 I never heard of Ryusei Sakaue before, but apparently he is a Japanese YouTube Reviewer and the designer of this RDA. 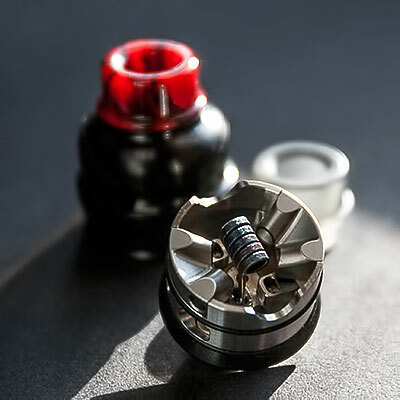 The deck on this RDA, which by the way is a postless one, makes it really easy to build and also wick since you got enough room for a fair amount of cotton in it. 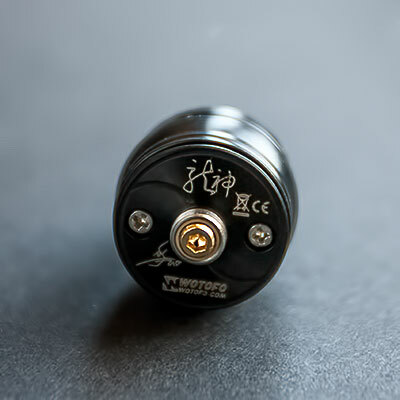 It is intentionally made for single coil use, but if you take off the airflow thingumajigs you will actually be able to use it for dual coils, but with no possibility to adjust the airflow since it will be wide open no matter what you do. The airflow thingumajigs are actually helping out keeping liquid from getting out through the airflow holes and also make sure the air hits the coils as it should to improve flavor. They also help out reducing the size of the chamber to yet again increase flavor. I am surprised with how smooth and silent the airflow is on the ElderDragon, fully open it is airy like nothing else, but quiet, and it is actually the same no matter how I set the airflow. Almost fully closed it is still smooth, but it is starting to make a little noise and almost whistling. The airflow on the ElderDragon must be considered to be a ”Fixed Airflow” since it half open is as airy as it is wide open. The only chance to get some sort of restriction out of it is to close it off almost all the way and at that setting I actually get really good flavor. A good thing with the posts is the fact that you don’t have to think about left or right winded coils since it doesn’t matter at all thanks to the four postholes it has. The coil legs are held real good by the post screws and it is easy to get the coil in the right position thanks to the cutout you have on the rim of the deck. So when you build it you use a coil rod and push the rod down into those cutouts and Bob Is Your Uncle. 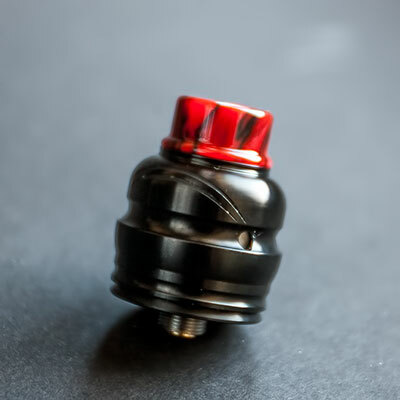 The way the top cap or barrel is made it is gonna look a bit funny with regular sized 810 drip tips since the top of the RDA is on the narrow side and regular 810 drip tips will have an overhang. 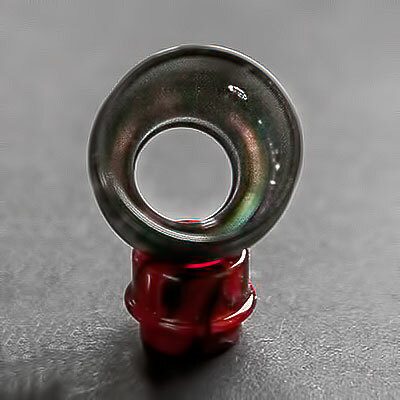 I have despite that tried a few of the 810 drip tips I have and they all sit nice and snug on it. The O-rings is another thing that works as they should on this RDA, from the one holding the drip tip to the ones holding the barrel. They are all nice and hold what they are supposed to hold nice and snug. The form factor on the barrel is quite different and I’m sure it will have 2 camps with people liking it and people disliking it due to the different look. I kinda like the way it looks and I have no issues with the design at all. 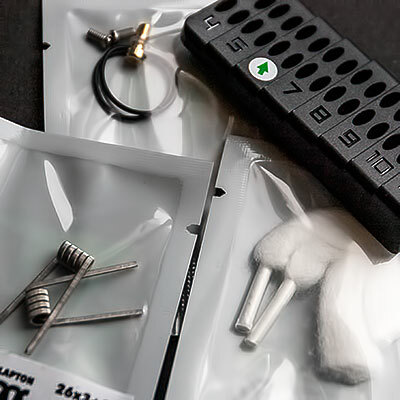 So how does it really vape you might wonder right about now… Well… I am positively surprised by the good quality on things and the ease to build and wick it. And the flavor I get out of it is actually really good when I close it off the way I have done it. 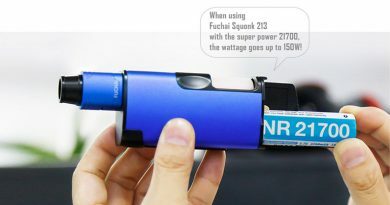 I have used it in both drip and squonk mode and for me it has worked like a charm in both modes. All in all I have had a nice experience with this RDA and the flavor has been really good. I get dense rich clouds with good flavor and that’s something I don’t get out of every RDA I test. The only non subjective con I really got, is the fact that it kind of has a fixed airflow that you can’t adjust unless you really close it off. And by «close it off» I actually mean as close to closed off as you can get. As with every new RDA it takes a little tinkering to learn how much you can drip and how much you need to squonk, but after you get that, it’s gonna be a nice journey. Can I recommend it to others? 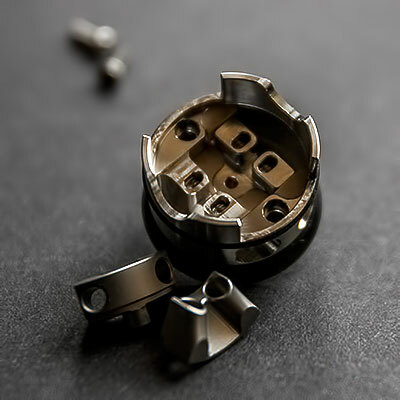 If you are in the market for a different looking flavorful single coil RDA I don’t see why not… It does deliver on flavor, it is well made and it works like a charm both in drip and squonk mode and it is priced fair as well. 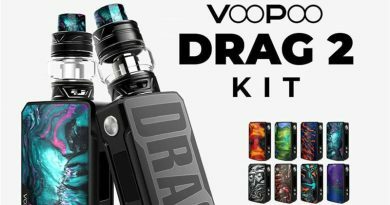 ElderDragon RDA for $34.99 at the time I wrote the review. 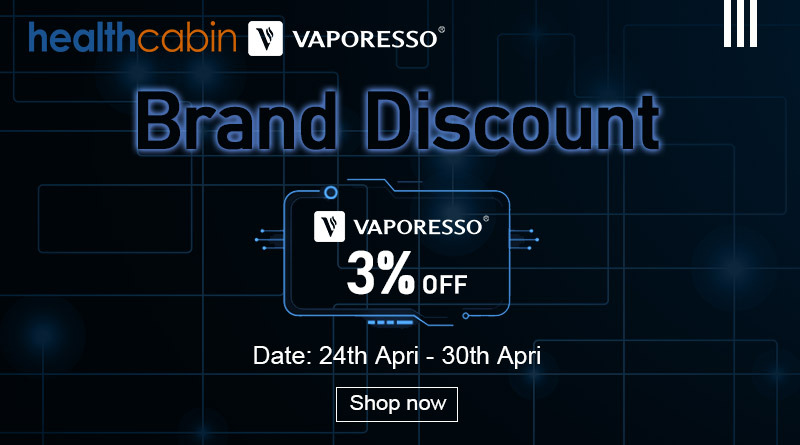 And if you wanna buy this RDA you can use the coupon code «Norseman» to get 10% off on this item and also site wide at HealthCabin when you check out and the offer is valid until March 31. 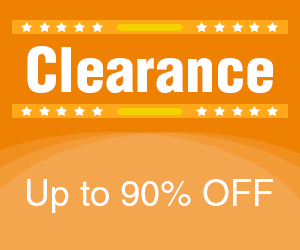 It’s not an affiliate link so I don’t get anything at all, more than the joy of helping you guys make some good deals. Thanks for reading this far and Vape on! 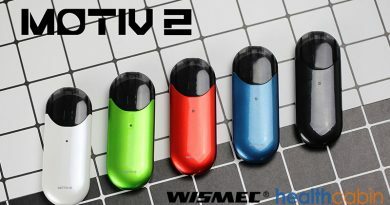 HealthCabin is an experienced vaping group. 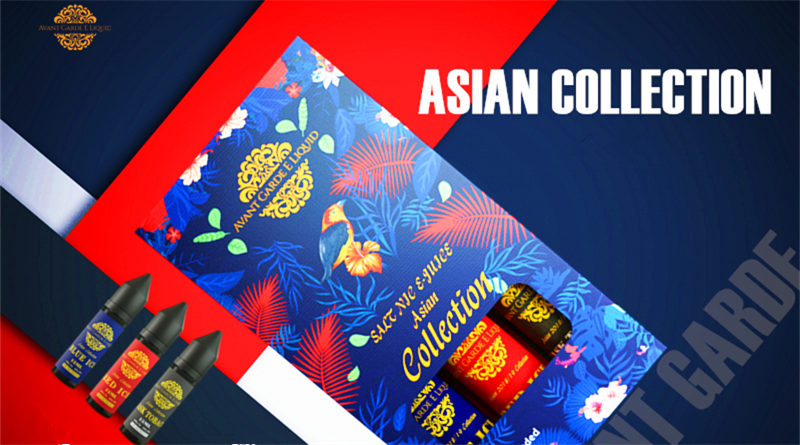 Offering best vaping devices, service and finest vaping contents is our top priority. Don’t forget to sign up to our newsletter and make sure to follow us on Facebook, Twitter and Instagram for more!